The SpaceX autonomous droneship “Of Course I Still Love You” arrived back at Port Canaveral on 12 April 2016 at 2:00 a.m. with the history making Falcon 9 first stage that successfully landed on the barge out in the Atlantic Ocean after launching on 8 April 2016 to deliver supplies to the International Space Station. The first stage followed up on its predecessor in December 2015 that successfully landed on land at Cape Canaveral Air Force Station. 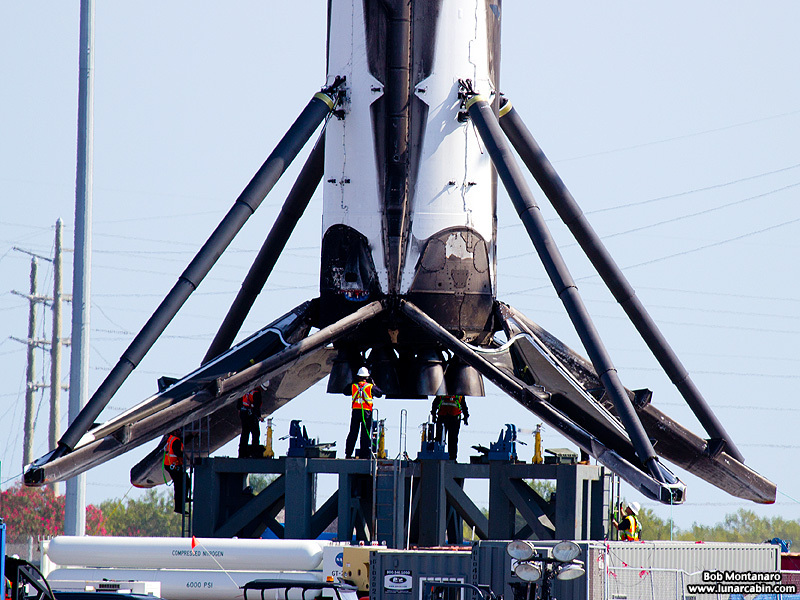 SpaceX is aiming to perfect both land and barge landings to try and reuse the first stages to bring down the cost of access to space. View the launch photos with the addition of the Falcon 9 first stage back in Port Canaveral.